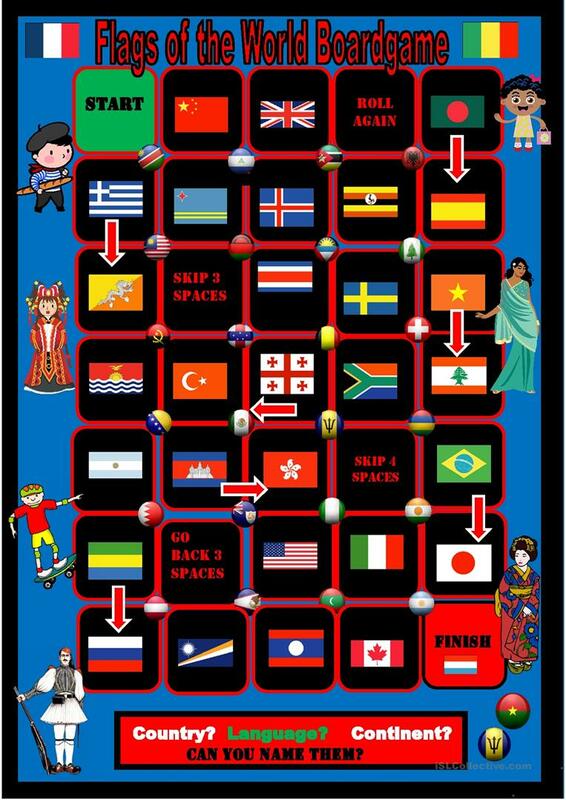 Can you name the country each flag belongs to? Can you describe the flag? Do you know which continent the country is located in? And what language the inhabitants speak? This is a completely random selection of flags. 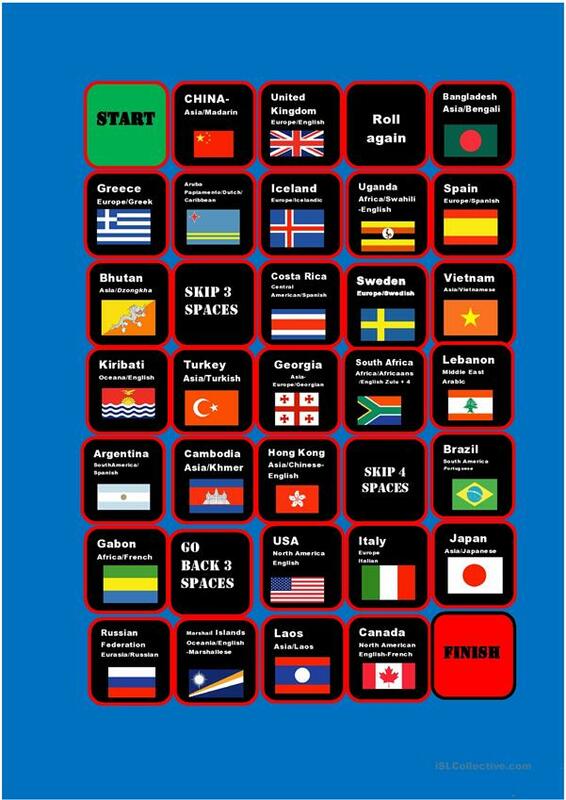 You can find the flags here: http://www.free-country-flags.com/flag_pack.php?id=1 Key included. The above downloadable printable is recommended for high school students, elementary school students and adults at Pre-intermediate (A2) and Intermediate (B1) level. It is excellent for enhancing your class' Speaking skills. It is about the vocabulary topic of Countries. The solutions are provided, too.